ACTON - Carmella E. (Carlo) DelPapa, age 97, passed away on Sunday, October 21, 2018 at Robbins Brook in Acton after a period of declining health. She was the wife of the late Domenic DelPapa. She was born in Newton on September 9, 1921, a daughter of the late Joseph and Louise (Pettrigrossi) Carlo. Carmella was a resident of Acton for a short time and was formerly of Townsend and Chelmsford. She was a former longtime resident of Westford where she resided for close to fifty years. Prior to her retirement, she and her husband Domenic were the owners and operators of the former Polly's Restaurant in Westford for several years. Earlier in her life, she worked on her family farm, Elm's Farm in Westford. Carmella enjoyed cooking, line dancing at the senior centers, playing the piano and bingo. 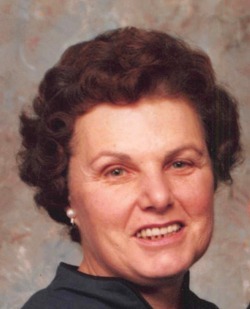 She dedicated her life to her family and loved spending time with her children and grandchildren. DELPAPA - Family and friends will honor and remember Carmella at the J. A. HEALY SONS FUNERAL HOME, 57 N. Main St., WESTFORD, on Thursday, Oct. 25 from 4 until 7 pm. Her Funeral Mass will be celebrated on Friday morning at 10 o'clock at St. Catherine of Alexandria Church, 107 N. Main St., Westford. Interment at St. Catherine Cemetery. In lieu of flowers, donations in Carmella’s memory may be made to the American Red Cross, PO Box 37839, Boone IA 50037-0839. To share your thoughts and memories of Carmella, please click the sign guestbook link.